ChiIL out with ChiIL Mama and Schubas Family Series. Click the Rafflecopter link below for your shot at brunch for 4 at Harmony Grill AND 4 free tickets to Poochamungas kids' show!! Born out of the Old Town School of Folk Music then fledging musician John Joyce went to take some harmonica classes and ended up taking a bunch of guitar lessons. After meeting a bunch of interested musicians (Don, Alton and Pete), mastering 3 chords, writing some lyrics that amused his daughter, a father son drummer exchange and finally forming a band! The Poochamungas went on to record Mud, Mommies and Mayhem in 2010 which won a NAPPA Award and played a bunch of gigs the next few years. They are now in the studio finishing their follow up CD titled Block Party (to be released Spring 2013). Musically diverse rockin’ angst free music is their goal at every show. The Poochamungas believe that good music should know no ages and they rock out for audiences big and small. Singing, dancing and general silliness is the rule of the day when this band comes to play! 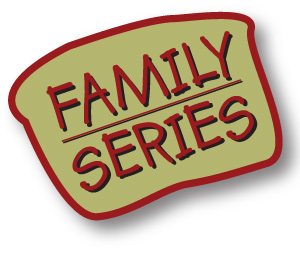 Click here for more Schubas/Lincoln Hall upcoming Family Friendly Shows. On Saturday, 3/23 at 3:00 PM, Schubas will host Poochamungas. 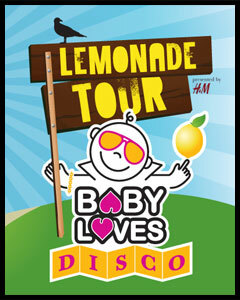 Saturday, 4/13 and 5/11, Lincoln Hall hosts Baby Loves Disco featuring Kriz Baronia. Hundreds of thousands of kids aged six months to six years, dancing their little booties off (to real disco music!) at some of the coolest clubs in the world while their parents sip cocktails, munch on organic snacks and dance along with their kids. Baby Loves Disco transforms the world’s coolest nightclubs into child-proof discos. Baby Loves Disco is an afternoon dance party featuring real music spun and mixed by real DJs blending classic disco tunes from the 70s & 80s guaranteed to get those little booties moving and grooving. The fun spills out from all corners of the club: bubble machines, egg shakers, a chill-out room (with tents, books and puzzles), diaper changing stations, a full spread of healthy snacks and dancing…LOTS of dancing. Tickets are available at www.LincolnHallChicago.com and are $15 for one, $50 for a four-ticket family pack, FREE for non-walkers. If purchasing the four ticket family pack, please note that one ticket will cover entry for four people. On Saturday, 5/04 at 1:00 PM and Sunday, 5/05 at 1:00 PM, Schubas will host School of Rock: A Tribute to Progressive Rock. School of Rock teaches guitar, bass, vocals, keyboards, drums and combines weekly private music lessons and group band rehearsals to prepare students to take the stage in front of live audiences in an authentic concert setting. The School of Rock Performance Program kids will play the best from Jethro Tull, Yes, Rush and other Progressive Rock bands to entertain you! Tickets are $10, free for kids 10 and under, and are available at www.schubas.com. On Saturday, 5/18 at 1:30 PM, Lincoln Hall will host School of Rock Naperville: The History of Punk & A Tribute to Guitar Gods and Rock Anthems w/ special guest performance by the Rock 101 class of young rockers. Students at School of Rock range from ages 3 to 17 years old. The performance-based education focuses on not what you play....but how you play it! Come see these kids rock the stage! Tickets are $5, free for kids 10 and under, and available at www.lincolnhallchicago.com.